In the Brooklyn Arts District of Historic Downtown Wilmington, an old office building has been transformed into an excellent microbrewery. Flytrap Brewing, named after North Carolina’s official carnivorous plant, the Venus Flytrap, is unique in all the right ways. Specializing in American and Belgian-style ales, Flytrap invites you to sample their brews in a flight or to enjoy a full or half pour. 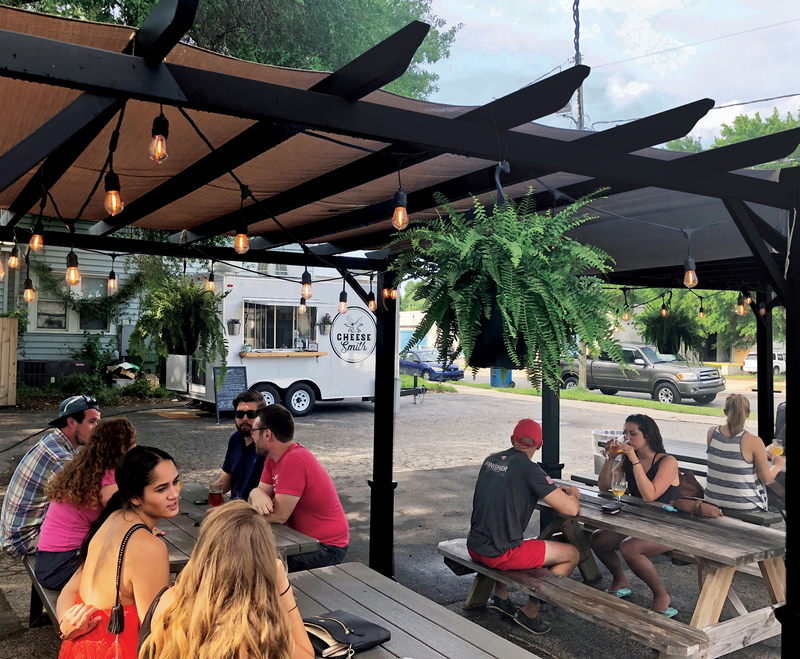 Its walls are lined with eye-catching art from local artists, and you can often find a tasty food truck parked outside. On Thursday, Friday, and Saturday nights, you can watch some of the area’s best up-and-coming musicians perform as you relax with your favorite microbrew.